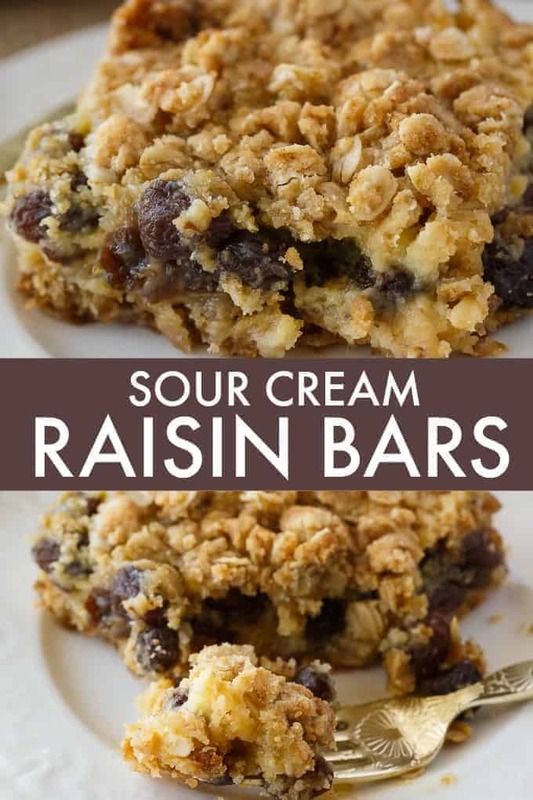 Sour Cream Raisin Bars are a cross between a date square and a butter tart. It has a creamy raisin filling that everyone loves! This easy dessert is perfect for impressing guests and bringing back memories of childhood. 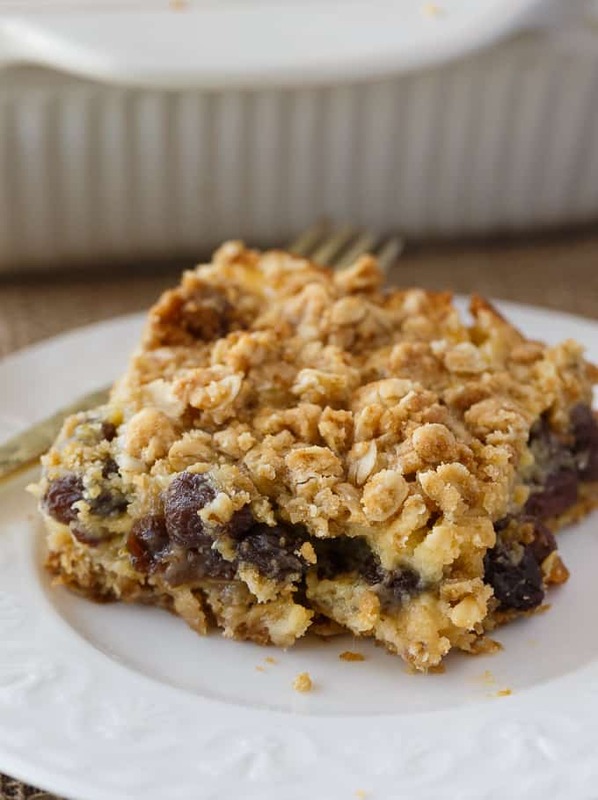 Did your grandma make these bars, too? My favourite part is the creamy raisin layer. It’s incredibly moist and sweet. 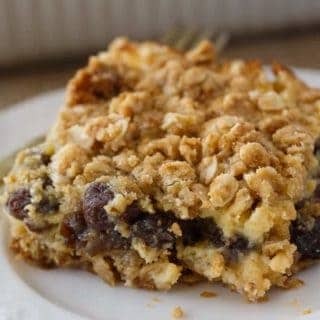 The oat crumb mixture is the base and the topping and is equally good. They may not be the prettiest dessert, but they sure are one of the tastiest I’ve tried. I cannot eat just one. And guess what? You can also freeze them. Make a few batches and eat some now and save the rest for later. I wouldn’t keep them for any longer than three months in the freezer though. 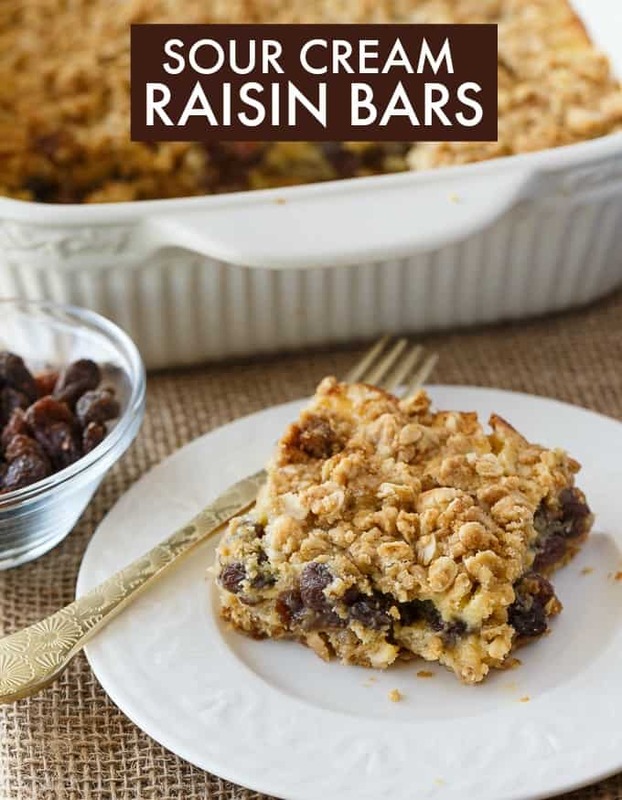 The first step is to soften the raisins and make them nice and plump. Add the raisins to a bowl and pour hot water on top. 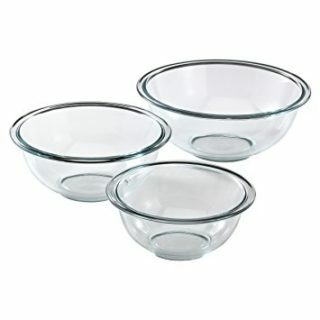 Let them soak for 10 minutes. Drain the water and set aside. See the difference? Next, you’ll make the oat crumb mixture. 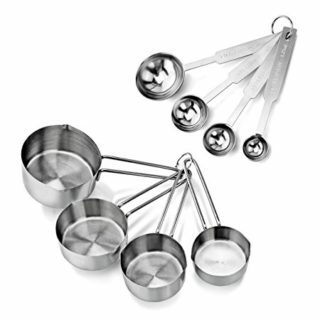 Mix the butter, brown sugar, baking soda, oatmeal and flour in a bowl. 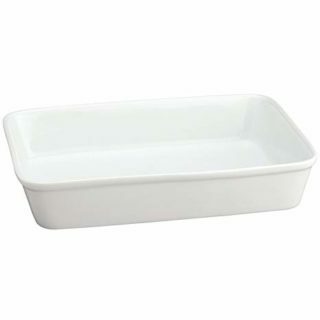 Put half the mixture into a greased 9×13 baking pan. Bake for 7 minutes. While your base is baking, start the creamy center. Add egg yolks, cornstarch, sugar and sour cream to a medium pot on the stove over medium low heat. Cook for about 8 to 10 minutes, stirring constantly. Add in the raisins and vanilla and stir to combine. Pour the mixture over the base. Top with remaining oat mixture. Bake for 40 minutes. Let cool before cutting into squares. They were so good that I didn’t want to share! No worries, I did share. My cousin came over and tried a few bars with a cup of coffee. 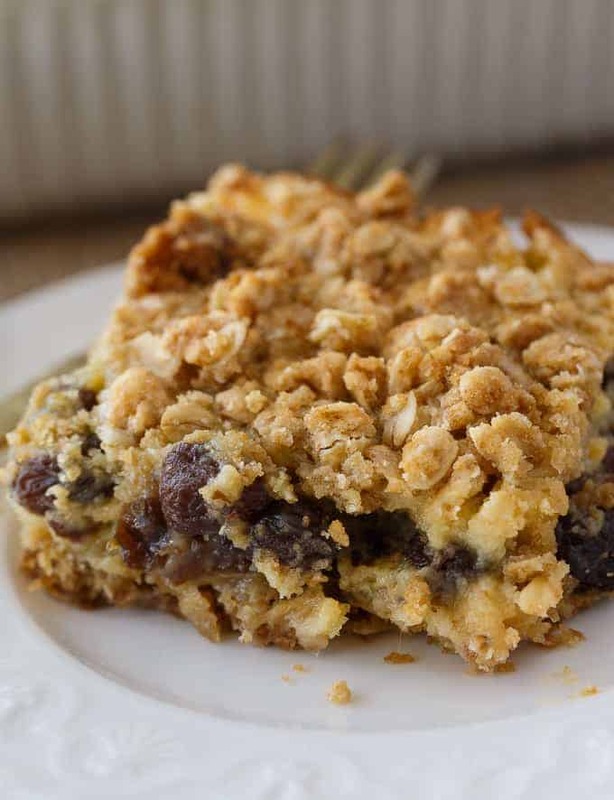 For more bar recipes, check out Mud Hen Bars, Fudge Nut Bars, Lemon Bars and Penuche Squares. 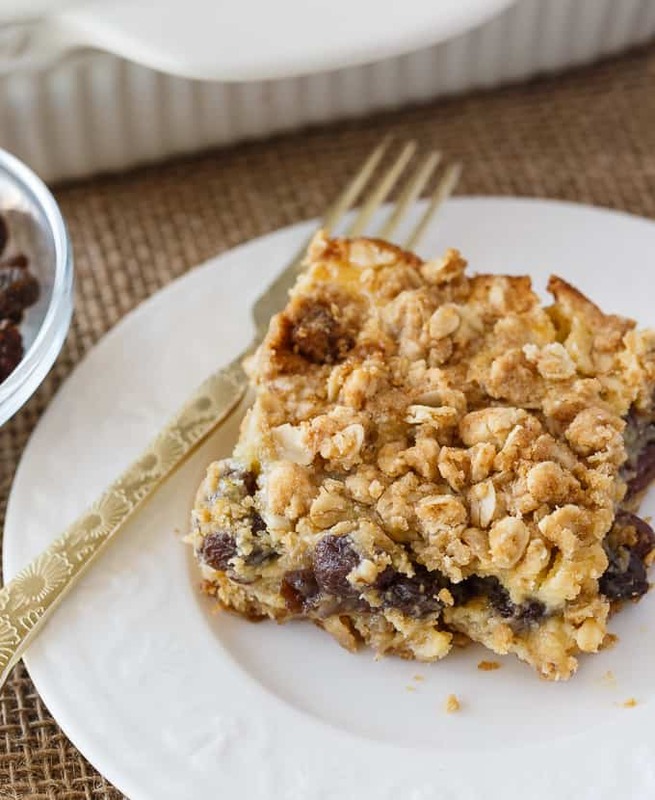 This easy dessert recipe is a cross between a date square and a butter tart. It has a creamy raisin filling that everyone loves! Add raisins to a bowl. Pour hot water on top and let soak for 10 minutes. Drain and set aside. 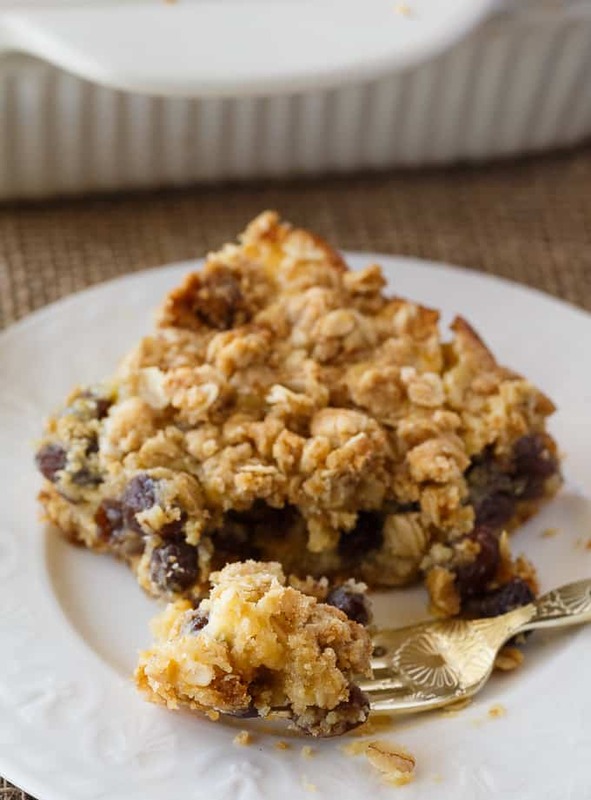 In a large bowl, mix together butter, brown sugar, baking soda, oatmeal and flour. Put half of the mixture in a greased 9x13 baking pan. Bake for 7 minutes. Add egg yolks, cornstarch, sugar and sour cream to a medium pot on the stove over medium low heat. Cook for about 8 to 10 minutes, stirring constantly. Add raisins and vanilla and stir. Pour mixture over crust. These look amazing! I totally need to try them soon with my kids! No, I didn’t let it cool for that long. Maybe 10 minutes. I love this kind of dessert. They look really good. Thanks for the recipe! These bars make me think of my grandma, thanks for posting Stacie. Oh yummy, these look very tasty! I wish my grandma had made these, but guess it is up to me!! Can’t wait to give them a try! Thank so much for sharing at Celebrate It! My hubby loves everything raisins! I might surprise him with this delicious looking dessert! Thanks for joining us at our Sweet Inspiration Link Party! I’m featuring your recipe this Friday!